A traditional herbal supplement that helps promote Qi to assist in the maintaining a healthy digestive and circulatory system. Strengthen Qi, cause Yang to ascend, regulate function of spleen and stomach, warms the middle jiao, raises spleen yang, harmonizes the stomach, raises prolapse. Use for deficiency in the spleen channel causing prolapse of major organs, including stomach, intestines, and uterus. Also for a variety of spleen Qi deficiency complains, including poor digestion, distension, fatigue and lethargy loose stools, chronic diarrhea, and flatulence. 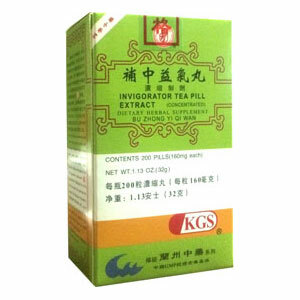 Applicable for uterine bleeding due to spleen deficiency, poor digestion due to chronic hepatitis or cirrhosis, and certain Wei patterns, including myasthenia gravis and multiple sclerosis. Useful as a tonic during deficiency fever. Symptoms of fatigue, shortness of breath, headache, general feeling of coldness and sensitivity to cold, daytime sweating, patient likes to drink warm liquids, poor appetitie, chronic diarrhea or loose stools. Chronic gastroenteritis, chronic dysentery, gastroptosis.